Everyone has their go-to outfit which they instinctively gravitate towards in the morning. Mine, undoubtedly, is anything with jeans. Jeans are so easy to wear and adaptable – black jeans with a heel for evenings out for drinks, indigo jeans with a slip on for casual days or a ripped knee style for a weekend look. Being 5ft 10 without Kendall Jenner proportions *sheds tear* makes trouser shopping nothing short of a nightmare, so when I find a style that fits well and is comfortable, bulk buying is known to occur. 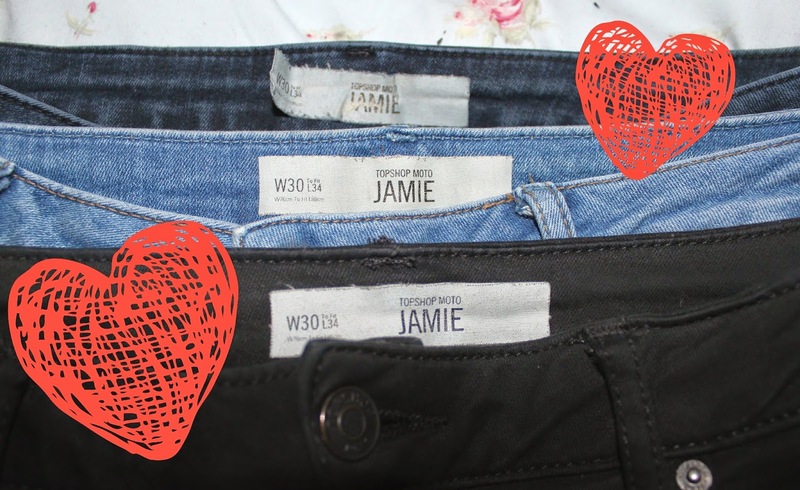 Topshop’s Jamie jeans have become somewhat of a cult purchase amongst our generation of late, taking over from the Leighs. They’re slightly high waisted which gives you another option when dressing and covers that bit under your belly button which your mum would call cuddly and we would name the devil. They are thicker too which mean they don’t go baggy around the knee after a wear or two like I experienced with the Leighs. I have two pairs in black, an indigo pair and a lighter blue shade with a ripped knee. I wear them in W30 L34 (which is so difficult to find) and they fit me as snug as a bug in a rug! What is your cult fashion buy?